Apple is calling its first wearable the Apple Watch, not iWatch (although iWatch does sound a bit better in our opinion).This product had been hyped and rumoured for so long that it was often titled the next revolution in technology similar to the original iPhone. The then “iWatch” saw no leaks and was only imagined by concept artists in crazy forms. When the device was announced, the crowd at Flint Center San Francisco applauded mightily but, why? I personally was very very excited to see Apple pull off something out of this world with their wearable but at first glance it appears (dare I say) average. Yes the device is made of stainless steel and also has a solid gold option along with multiple straps or belts but in its entirety it’s just a not so pretty four sided display strapped to your wrist. Having asked countless people what they want from a smartwatch, the majority replied that their primary requirement is design which, the last time I checked is Apple’s forte. The software side of things can and will evolve over time but right now if my $350 (price of Apple Watch) watch looks plain geeky then it is a cross in my main requirement box. The Apple Watch is exactly where the first Android Wear devices were at launch, basic. The G Watch and Gear Live were arguably reference devices for developers, Android Wear truly kicked off after Motorola unveiled their circular Moto 360. It became crystal clear that circles are what consumers want when the Moto 360 sold out before we could even check out it’s product page online. The circular shape alone is an embodiment of what watches are really about, fashion. In the modern day, style is one of the only logical reasons people still wear watches and I was disappointed to see Apple not make something that made me want to buy it from a design standpoint.. Don’t get me wrong, the Apple Watch looks premium but it just doesn’t make a statement. The Apple watch features a new software interface that I still find a little difficult to wrap my head around entirely. Rather than just transferring the smartphone experience in the smartwatch, Apple has created an entirely new UI for the watch alone. Essentially you use the touch screen and the “digital crown” to navigate through the interface. We will reserve our views on the software until we can actually see it in action. 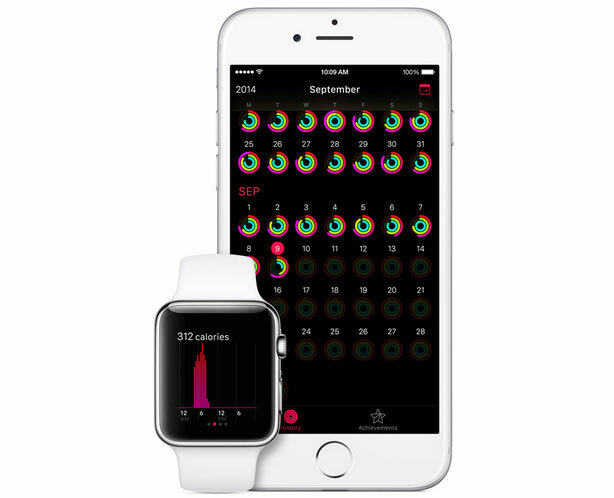 One of the great things about the Apple Watch is that it appears to be a great health suite. It has a bevy of sensors and its tracking abilities look very promising. When you raise your wrist to have a look at the time, the display automatically turns on with the home screen featuring apps represented by small dots. Something I really appreciated seeing was that the use of Siri is available on the device too so we expect the usual Siri functionality to be available when the device launches. The straps are easily replaceable via a button mechanism but they are proprietary so you can’t use your standard watch bands. On the back of the device, there are set of sensors for measuring the vitals as the device is targeted to be a major role player in the fitness market. The LEDs on the device measures the heart rate to give out an accurate measurement. 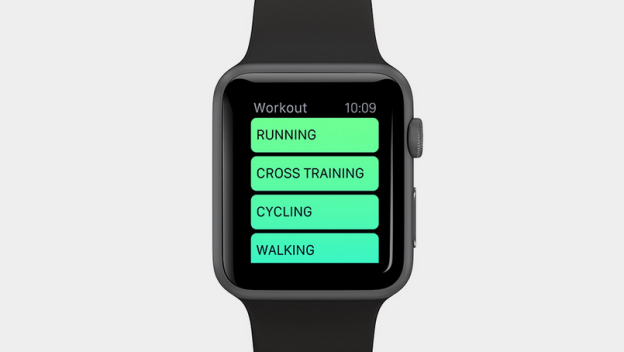 Fitness and Workout apps will be the prime focus of Apple’s health and fitness initiative. Other features include the walkie talkie ability, acting as a viewfinder for the iPhone’s Camera, ability to control an Apple TV and most importantly, it would also work with the latest Apple Pay to make payments easier. 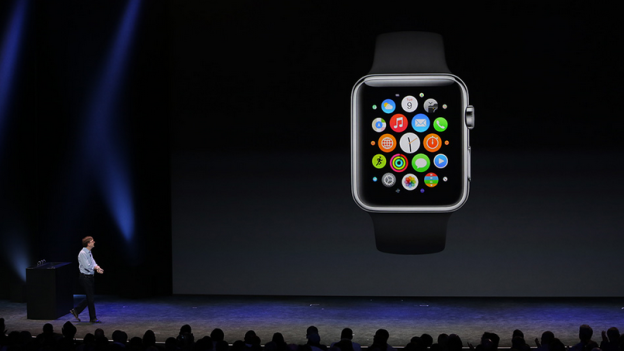 The Apple Watch is going to go up for sale for $349 in early 2015. The first quarter of 2015 is ages away in terms of tech world time. This potentially leaves other companies with the opportunity to come up with devices that out do the Apple Watch by a long shot. All in all, dissapointment is the key word for the Apple Watch. Apple had a lot of time (reportedly 3 years) to perfect every aspect of the wearable and could have done so much more simply in terms of making a beautiful timepiece. The whole world expected Apple to do something extraordinary but in the end, they just displayed a decent wearable that will probably be outdated when released and cost as much as a Nexus 5 or 64 GB One+1. Oh and if you do buy it, you also need to have an iPhone 5 or a higher generation as the Apple Watch will not work with anything else.